It almost felt like it would be another of those weekend’s for Aston Villa, Tyrone Mings was suspended for Bristol City and talisman Jack Grealish was ruled out ahead of the game with an illness. Some may have doubted with the game being scoreless at the halftime break, but we dominated chances on the day and with their disallowed goal arguably being a slice of luck for us, we made it count in the second period as Tammy Abraham buried his penalty chance and Conor Hourihane made it 2-0 going into the final 20 minutes. The visitors did get a consolation, but that was all it was ever going to be given it was their only shot on target. 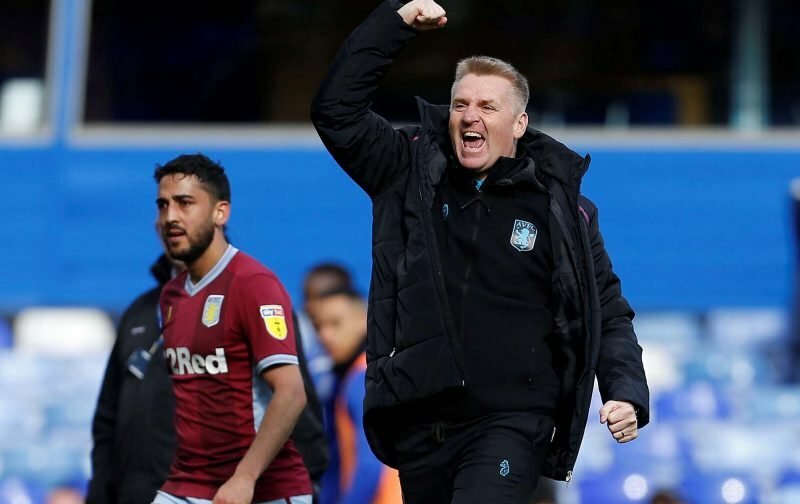 Eight wins on the spin for the first time since April 1975 and the Villa under head coach Dean Smith are a new beast. Vital Villa forum member Villan57 gave us his player ratings in our Match Thread following the 90 minutes of action. Villa Park is rocking like it was 1975 all over again. We are walking with McGinn. Villa made a Bristol City side that was on a great run look like a pub team at times and all without Super Jack. My player ratings for what they are worth. Steer 7 – Didn’t have a lot to do which has become the norm since his inclusion in the side. He is the sweeper keeper I like. Elmo 7 – Solid game got forward got back did his job well. Axel T 7 – Looked like he’d never been away, cool under pressure never put a foot wrong. The Jedi 8 – He’s sat on the bench for months and come in for Mings and played so well we never missed Mings at all. Awesome performance from the big bearded Aussie. Taylor 7 – The confidence is coming back and he had his best ever game in a Villa shirt. Whelan 7.5 – Another good game from our stand in Captain, solid as a granite rock in that defensive midfield role. Hourihane 7 – Did very little outside the box but to his credit, he won us a Penalty and scored the second. Missed 3 sitters but he was in there to miss them. Super John McGinn 8 – Normal game for SJM, I think he runs on kinetic energy. Words fail me just unbelievable at times. Deserved a goal for all that effort. Albert 7 – Unlucky not to score that header off the post solid game if unspectacular. Tammy 6 – Not one of his better games but showed the bottle to take the penalty. El Ghazi 9 – I thought the lad was unplayable at times more than made up for the missing Jack, Controversial but my MOTM. Davis 7 – Big strong lad came on and bullied the Bristol defence unlucky not to score. He held the ball up really well. Lansbury 6 – Not really on long enough but looked lively and up for it. Coach Deano 8 – First Villa Manager to win 8 on the bounce since Lord Ron in 1975, say no more.